Today I want to write about a very tough animal that needs our help to stay alive in the wild, the Bactrian camel. These huge animals grow up to 230 cm at the shoulder and can weigh up to 1,000 kg. Males are often much larger than females. They are very tough animals and can live in very harsh conditions, from very hot to freezing cold weather. Their thick fur protects them from the cold and this fur drops off when it gets hotter. They have thick eyelashes to protect their eyes from sandstorms and their wide toes help them to walk on sand. 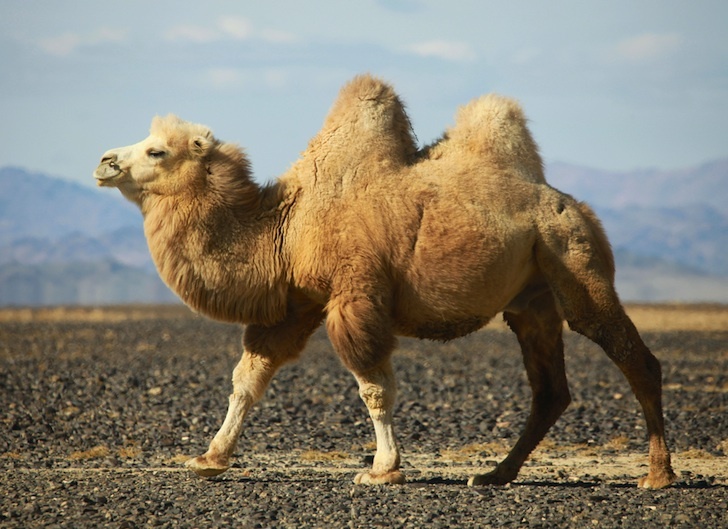 The humps of Bactrian camels store fat, not water. Even so, they can go for months without drinking and can drink up to 57 litres of water at once. They eat snow to get their water needs when they are high up in mountains and can drink very salty water as well. They don’t wee much and do very dry poos to save water. They live in small groups of 6-30 animals, led by a dominant male. They can gather in larger groups during the mating season around areas where there is a lot of water. During mating season, males are very aggressive towards each other, biting, spitting and even sitting on each other. Bactrian camels are critically endangered and there may be only about 600 left in the wild. They are found in northwest China and Mongolia. They are in danger of becoming extinct in the wild due to habitat loss and hunting. Are there any other interesting facts that you would like to share about Bactrian camels?